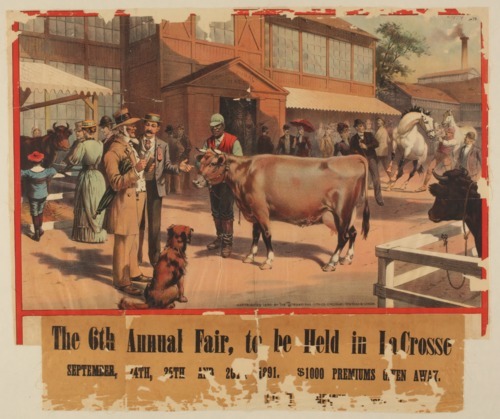 Advertising the 6th annual fair in La Crosse, Kansas, this fair poster features people and livestock surrounding the agricultural hall. The fair was to take place September 24th-26th, 1891, with "$1000 premiums given away." The image is "stock" artwork and does not depict the Rush County fairgrounds.